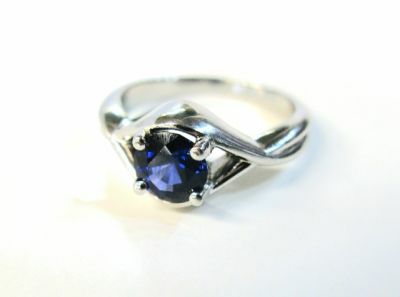 A stunning modern platinum engagment ring, featuring a round mixed cut dark blue sapphire, est. 1.38ct. Sapphire is the September birthstone and the ancients believed it protects loved ones from envy and harm.